Right of Way. These are the four basic right-of-way rules. (1) Port must keep clear of Starboard [rule10]. 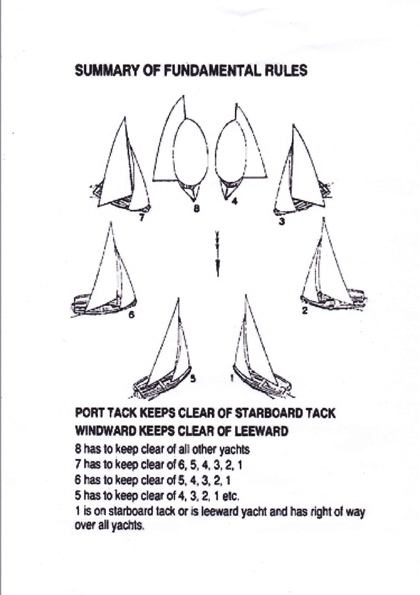 (2) Windward must keep clear of Leeward [rule11]. (3) AStern must keep clear of AHead [rule12]. (4) A boat "past head to wind" (i.e., "tacking") must keep clear of other boats [rule13].